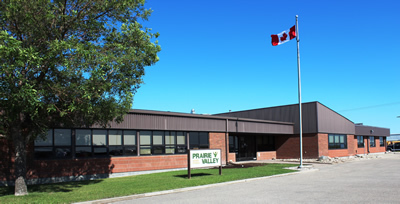 Approximately 1100 school-based and Division office staff support Prairie Valley schools and deliver diverse programming to meet student needs. This includes approximately 100 staff in school division offices, and over 500 teachers. Other staff include educational assistants, principals, bus drivers, caretakers, administrative assistants, among others. The governance model includes 11 elected trustees forming the Board of Education. The Director of Education, Ben J. Grebinski, reports to the Board, and is responsible for the administration of Prairie Valley School Division. The Director is supported by a team of senior leaders in the Administrative Consortium. Naomi Mellor is responsible for the Division’s Finances, Project Management, Transportation, and Communication and Information Technology. She is supported by the Superintendent of Project Management, the Supervisor of Finance, the Supervisor of Transportation, and the supervisor of Communication and Information Technology. This portfolio includes responsibility for Curriculum Consultants, Literacy/Math/Science teachers on Special Assignment, and Library Services. This portfolio is responsible for Facility Capital, School Maintenance and Operations, System Projects, and Communications Information and Technology.